The next hearings, due to begin 28th January, of the Australian Royal Commission into Institutional Responses to Child Sexual Abuse, will focus on four Salvation Army Boys’ Homes. As covered in a previous posting, there is much less information on Girls’ Homes than on Boys’ Homes. It is presumed that the Royal Commission intends to cover Salvation Army Girls’ Homes, and those run by other churches and the State, at future hearings. 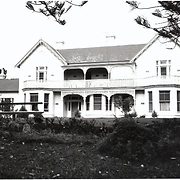 One of the Girls’ Homes worthy of consideration is the Salvation Army’s Kardinia Children’s Home in Belmont (Geelong), Victoria State. One of the victims at this Home was Eunice Allsop. From the age of 16, she has claimed, she was molested every day for two years. Her abuser reshuffled other children’s’ sleeping arrangements to improve his access to her. The abuse began when other children had gone to church. As was indicated in the Gill Memorial Boys’ Home posting, the Salvation Army is prepared to use the defence in court that a complainant was never in the Home where they alleged abuse occurred. Any complainants from the Kardinia Home will be in the same position since, during what the Salvation Army described as a “clean out”, all files were destroyed in 2003. This common practice by the Salvation Army of destroying and “losing” files is something the Royal Commission should look into if victims are to be able to launch civil cases against the Salvation Army in the future when other legal barriers, such as time limitations, are removed. Also, as indicated before in previous postings, most of the abuse of girls occurred by visitors to the Home, or while the girls were “rented out” to local families for domestic work or fruit picking etc. It may be this aspect that will require the Commission’s attention, rather than goings on actually within the Girls’ Homes. Recently, the then Prime Minister, Julia Gillard, apologized for “forced adoptions” (see previous postings) by unwed, teen-age mothers. The Salvation Army’s Eastern Territory (which cover Queensland and New South Wales States and the Australian Capital Territory), last year apologized for its part in the forced adoptions. To date, the Southern Territory (which covers the remainder of Australia) has not issued an apology. It is estimated, following a Senate enquiry into forced adoptions, that about 150,000 babies were adopted under the policy, in Australia. More details are available for Canada, which has conducted rigid investigations into the similar policy in that country (see references below). Social pressures, until about the 1970s, meant that there were extremely few single mothers, because of the forced adoptions policy. Some of the girls were very young, and, after giving birth, anecdotal evidence suggests occasionally they were sent to Girls’ Homes. Here is the very worrying aspect of sexual abuse of girls in Homes. For most of the 20th century, it was common practice for pregnant girls to work in”Laundries” (see for example the posting on the Magdalene Laundry in Ireland). Their babies were often delivered “in house”. These were usually called “Maternity Homes.” The fathers of the babies were almost never known or recorded. One obvious difference between sexual abuse of boys and girls is that in the latter case there can be the added complication of pregnancy. While there is no recorded evidence of such pregnancies associated with Girls’ Homes, only a fool would assume this never occurred among the 250,000 girls who passed through the Homes in the 20th century. If it did occur, then abortion could be initiated. However, this is unlikely due to the health risks, incriminating records, and a religious aversion to the very concept of abortion. The only real alternative would have been a stay at one of these “maternity Homes”, with immediate adoption. The author is making no suggestion that this last alternative ever occurred, but all the same, it remains a possibility, and should form a part of the deliberations of the Royal Commission when it eventually gets around to investigating the Girls’ Homes. This entry was posted in Uncategorized and tagged Australian Royal Commission into Institutional Responses to Child Sexual Abuse, Boothville Mothers Home, Box Hill Boys’ Home, Canada forced adoptions, Elim Maternity Hospital, forced adoptions, Gill Memorial Boys’ Home, Gillard apology, girls’ homes, Kardinia Children’s Home, Lewin Blazevich, Lewis Blayse, Magdalene Laundry, Marrickville Maternity Home, McBride Maternity Hospital, Rocklyn Maternity Hospital, Royal Commission into Institutional Responses to Child Sexual Abuse, Salvation Army Australia, Salvation Army maternity homes, Salvos, salvos abuse, Senate enquiry into forced adoptions, The Haven Maternity Hospital, unwed mothers homes, YMCA child sexual abuse. Bookmark the permalink.